Looking for a good workout? We offer a variety of group fitness classes to help you reach your goals and have fun doing it. By combining a mixture of 15 minute intervals of cardio, strength training, and core strengthening moves, Premier Fusion is created to produce body-shaping results, improved postural alignment, and enhanced overall mobility. This signature class includes exercises designed to lengthen and tone your muscles, give you an energy boost and make you feel confident and comfortable in your body. A combination of yoga, ballet and Pilates. This is a fun and energizing TOTAL body workout. 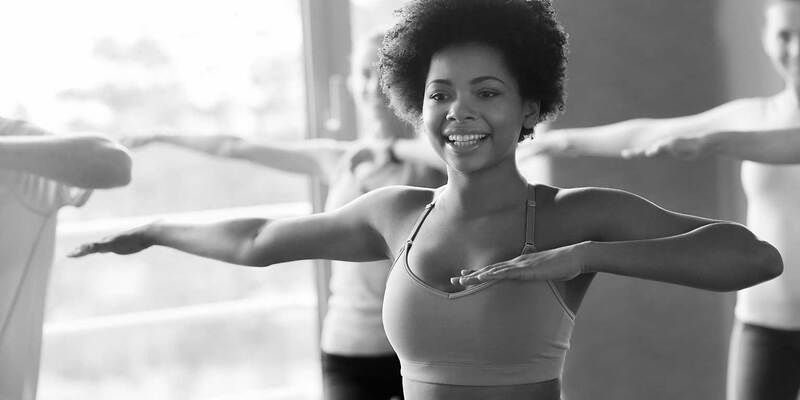 Bring out your inner ballerina as you work to tone the lower half of the body, Pilates to strengthen your core muscles and some yoga to soothe and stretch those sculpted muscles. No dance experience required just a great attitude! If you’ve dreamed of channeling your inner rock star into a fitness plan, it’s time to POUND. Created by two female drummers, the POUND® workout fuses cardio interval training with drumming to provide a challenging, heart-pumping workout. ZUMBA® mixes low-intensity and high-intensity moves for an interval-style, calorie-burning dance fitness party. This class is a total workout, combining all elements of fitness – cardio, muscle conditioning, balance and flexibility. This group exercise class mixes traditional calisthenic and body weight exercises with interval training and strength training. This class is designed to push you harder to maximize your fitness goals all in a supportive and motivating environment. A great workout for everyone interested in improving their fitness & stamina. This class is flexible to serve the needs of all students – it will get beginners into shape, it will challenge advanced athletes. This class integrates combinations of punches, kicks, shadow boxing and other various drills. You will do many repetitions so that you can focus on proper body mechanics rather than on what move or combination is coming up next. You will have fun, reduce stress, and get an awesome workout! We offer a variety of yoga classes for all experience levels. Find a class and grow your practice. Save time and money with our Premier Membership. Receive unlimited yoga and fitness classes. Discounts on workshops and retail.